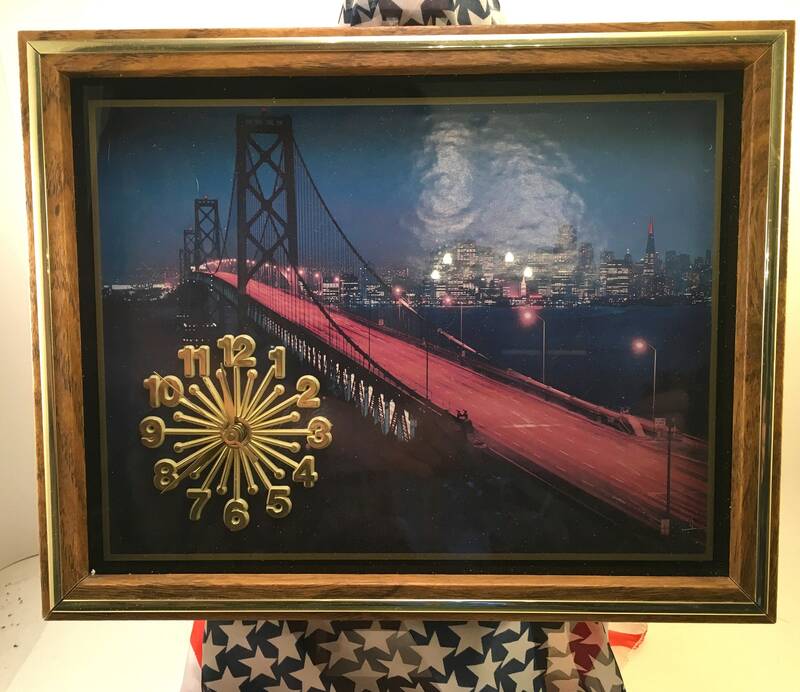 A cool wall clock with a 70's - 80's retro feel features a graphic photo of the San Franciso Oakland Bay Bridge. 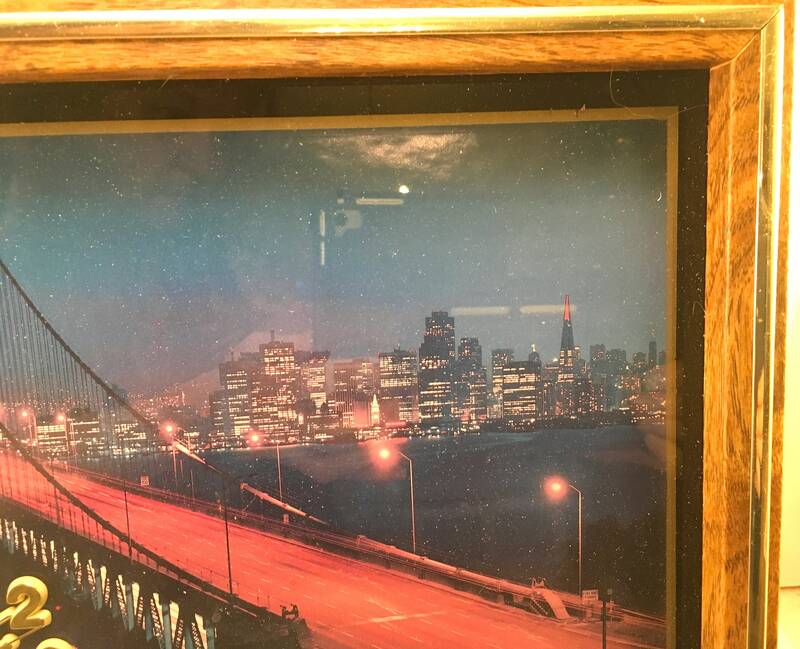 A lighted cityscape sits at the end of the bridge. It is night and all looks bright. 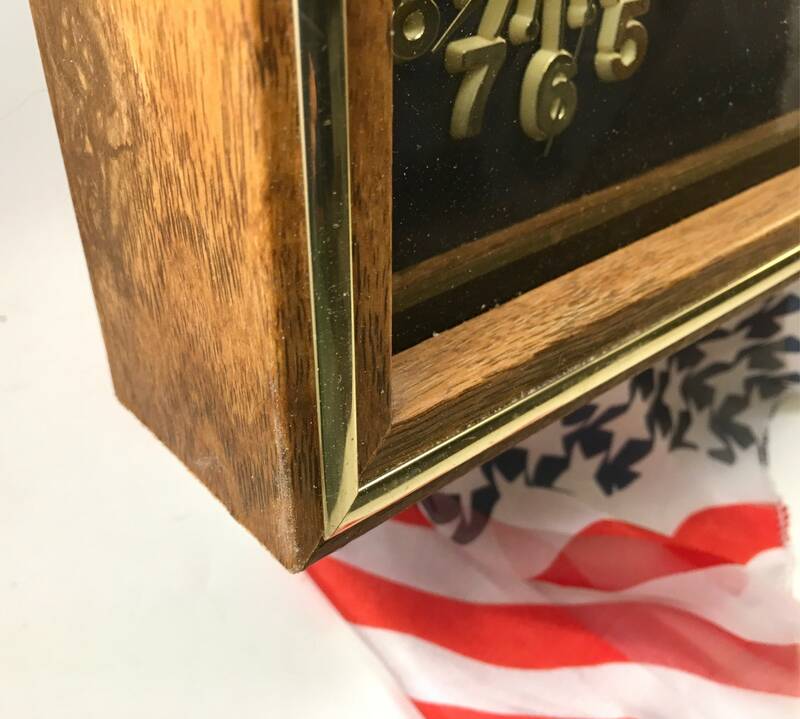 The clock is contained in a frame with an oak finish. 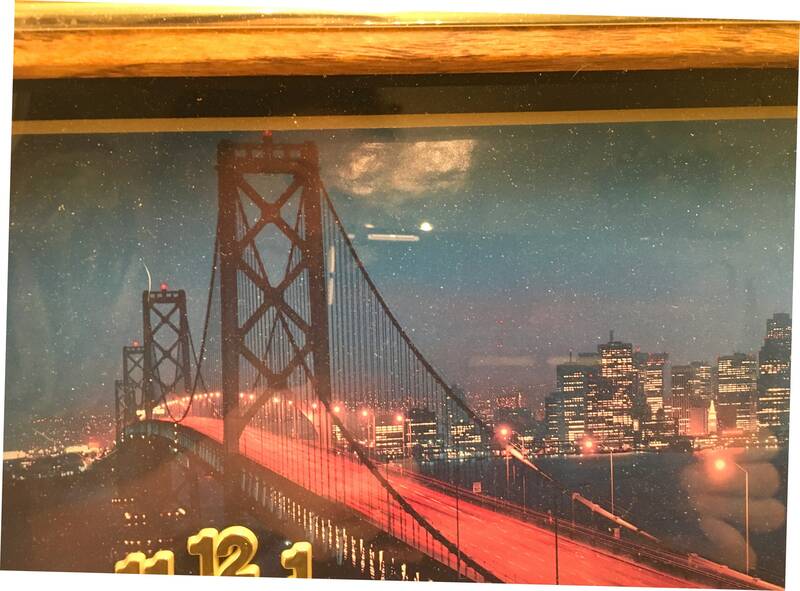 Narrow gold and black bands give it an architectural importance. 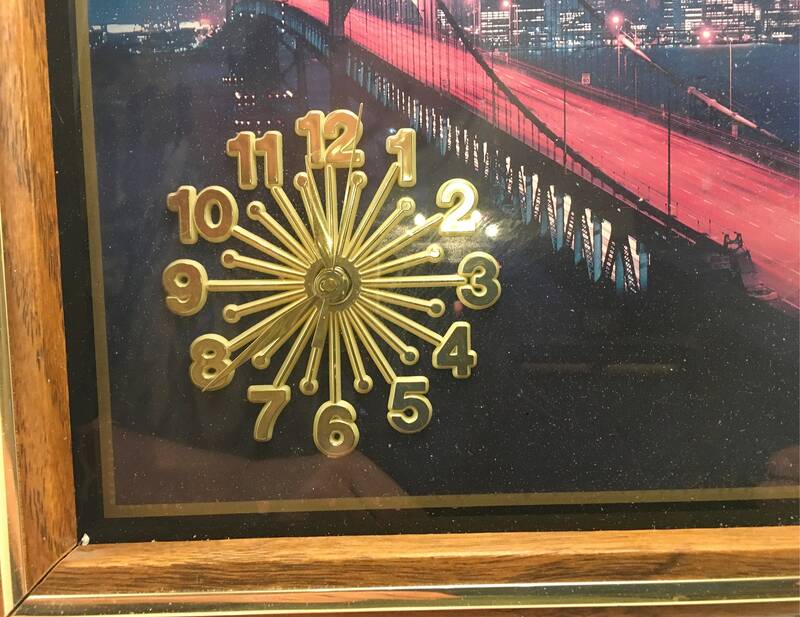 The clock mechanism contains all the Arabic numbers in a gold tone. 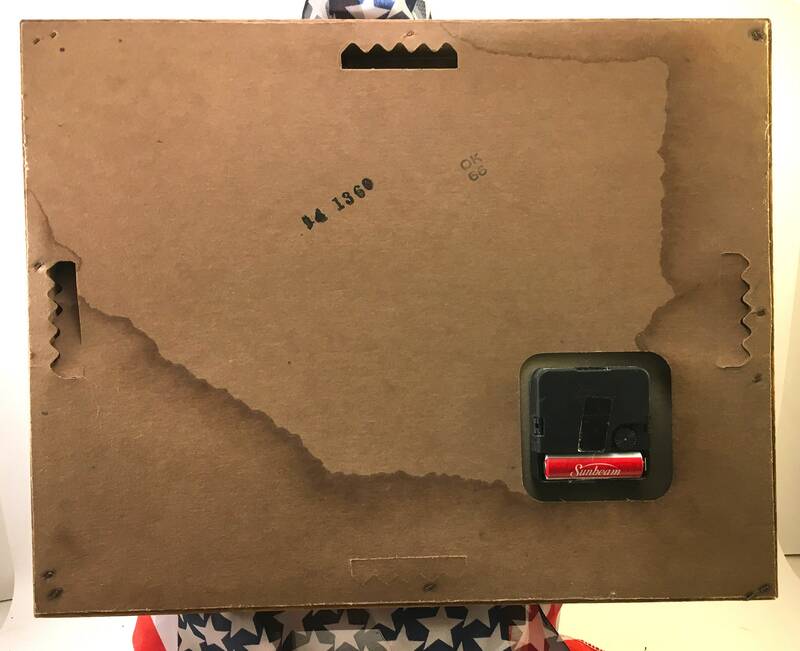 Excellent, clean condition (the cardboard backing was exposed to the rain for a few moments when I left my car window down). It does not take away from its functionality or aesthetic beauty.